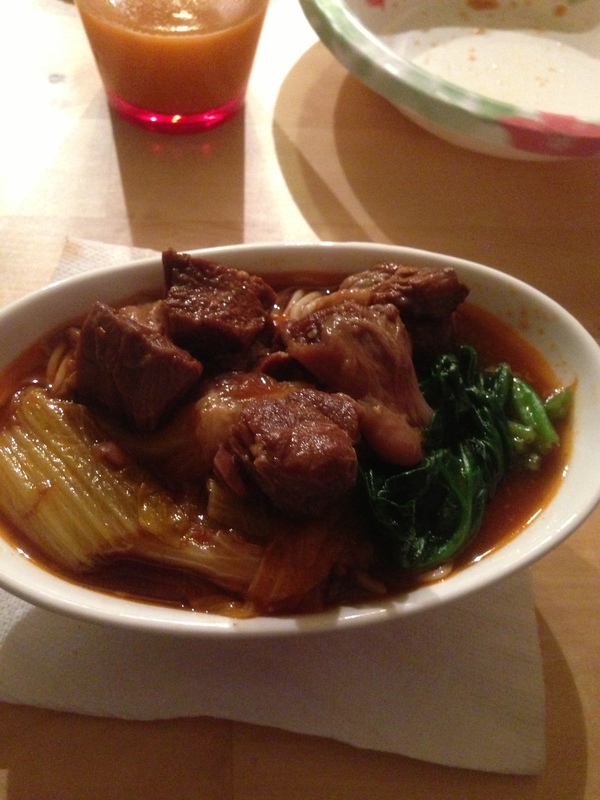 The main course was noodles with beef with cabbage and spinach in a slightly spiced soup. The beef was incredibly tender and full of robust flavor. 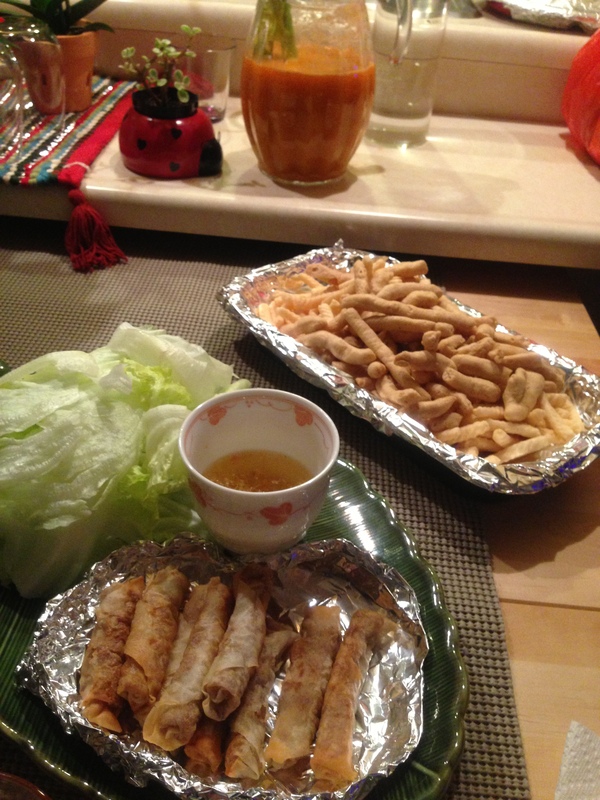 The vegetables were fresh and crunchy. 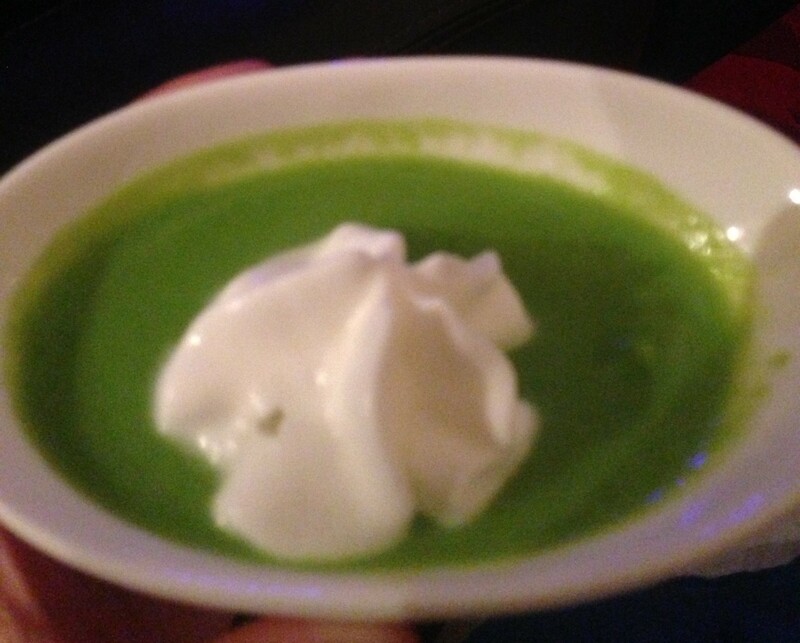 For dessert we had mashed sweet peas with a dollop of whipped cream. It was a unique dish but I really enjoyed it. The consistency was soft and the whipped cream gave the sweet peas an added layer of yumminess. 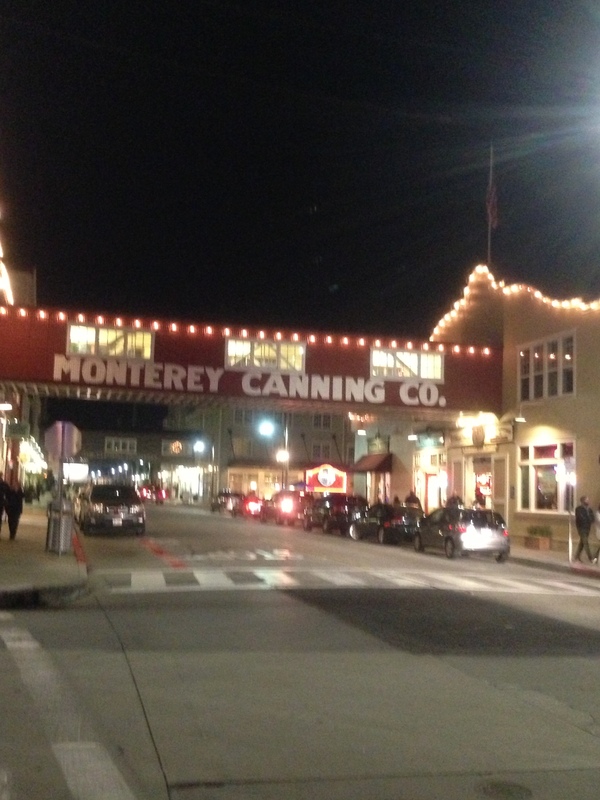 After our dinner, we all took a walk along Cannery Row, which was beautifully lit up and quite a few stores still open. We stopped into Ghiradelli and other chocolate/caramel apple shops. 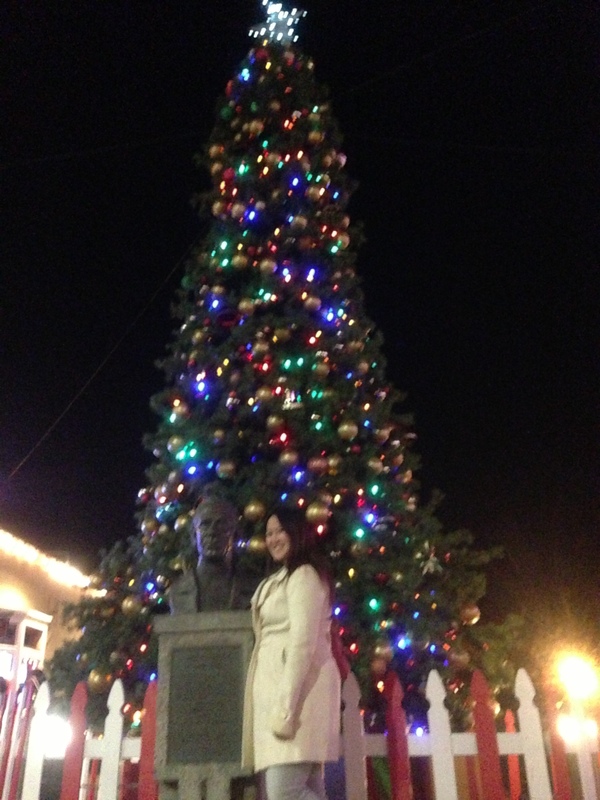 We also passed the Cannery Row Christmas Tree, which was tall with blue, green, yellow lights and a brightly lit blue star on top. glad ur having a great time! you look great! happy! enjoy the hollidaze! that sweet pea dessert was the most interesting thing. sounds great and different. the beef looked so good, too. the tree was nice, too. great post! happy holidays!